Danes are said to be the happiest people in the world, and Copenhagen the world’s most liveable city. Why? Because every bit of Copenhagen is designed for life, from the buildings and architecture, the food and the water, the many bikes and the intelligent infrastructure to free education, free health care, and a society firmly focused on the life balance between work and play. Copenhagen is a pocket-sized fairy tale and at the same time, a buzzing and innovative hub of ideas. Copenhagen is a city large enough for every kind of life philosophy, but small enough to bicycle from one end to the other in twenty minutes. It is all there, the urban pulse in the cobbled streets, the castles and bell towers, the artists, makers and the green grass, the mothers, babies and their strollers, the hipsters and their dreams, the prince and the queen. The Copenhageners excel in combining simple and sustainable solutions with a casually sophisticated lifestyle. A lifestyle based on tradition, history and culture, yet constantly moving forward, giving Copenhagen a unique blend between the harmonies of old world charm and the progressive beat of a truly cosmopolitan city. This is Copenhagen - a city for life. Fairy tale Copenhagen | VisitCopenhagen From wild Vikings to ancient castles and palaces inhabited by real princes and princesses, cobblestone narrow streets, old timbered houses and a certain sculpture of a little mermaid. Copenhagen is a modern day fairy tale with a happy ending. The cityscape of Copenhagen is an elegant mix of advanced modern architecture, waterways, open spaces, cobblestone narrow streets, old timbered houses, ancient castles and palaces. Copenhagen oozes of history.Fairy tale Copenhagen | VisitCopenhagen A tour in and around Copenhagen harbour and canals will take you from the father of fairy tales Hans Christian Andersen’s Little Mermaid sitting on her rock at the entrance to the harbour to the modern architectural addition to the Royal Danish Library, The Black Diamond, housing restaurant Søren K, named after the famous Danish philosopher Søren Kierkegaard. 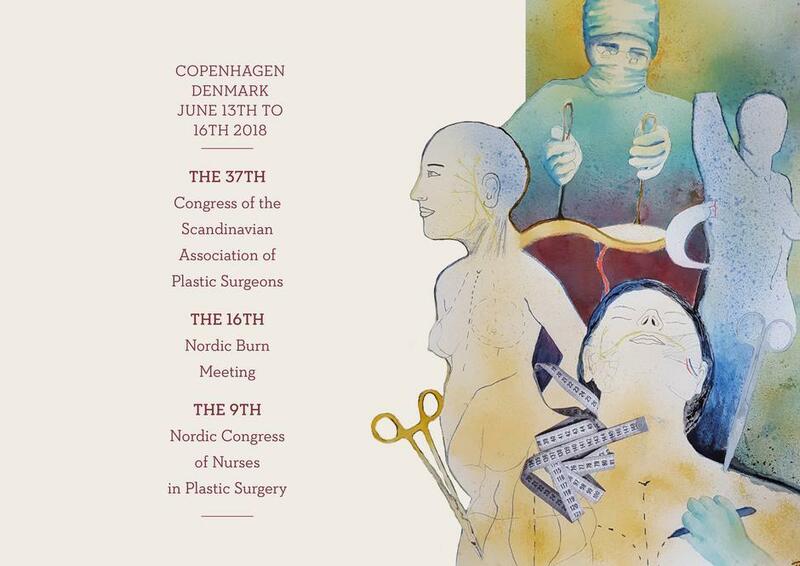 Copenhagen is a city that effortlessly combines old and new, preserving its 1,000-year history, yet always looking to the future with open arms, hearts and minds. All Danes have a little Viking blood in them. From the 8th-11th centuries the population of Scandinavia was known as Vikings - Norse explorers and merchants, warriors and pirates who raided, enslaved and raped their way through Europe from around 800 to 1066. The Vikings settled all over Europe, some areas in Asia and the North Atlantic. Fairy tale Copenhagen | VisitCopenhagen Do not fret. We are a little more civilised nowadays. 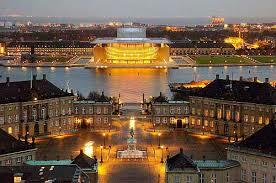 However, you will find many traces and artifacts from the Vikings and the Viking Age in Copenhagen. Copenhagen became capital of Denmark in 1167, when Bishop Absalon founded the city. Over the following years herring fishing brought great wealth to Copenhagen and, under the reign of King Christian 4th in the 17th century, the city grew to become the important regional capital it remains today. Today, the capital region has a population of 1.9 million. Danes who lived during World War 2 will remember King Christian 10th of Denmark riding daily through the streets of Copenhagen on his white horse during the German occupation. He was only accompanied by one guard. Danes saw it as a heroic act and a symbol of resistance. A light in the darkness. It made him one of the most popular Danish monarchs of modern times. Head of the present royal family is monarch Queen Margrethe 2nd, married to Prince Consort Henrik. Next in line to the Danish throne is their eldest son Crown Prince Frederik, wed to Crown Princess Mary, who originates from Tasmania, Australia. They have four children: Christian, Isabella, Vincent and Josephine. Many Danes regard Mary and Frederik as role models and representatives of a modern Danish family, balancing life between work and play. In recent years, Crown Prince Frederik completed an Ironman in Copenhagen and is often seen picking up his kids from kindergarten in a Chrstiania bike, just like any normal Danish father. Thus the Crown Prince couple is perceived as great representatives of Denmark and Danish values internationally. That is also how many of us justify their royal status and financial benefits paid for by the state. Copenhagen is home to the world’s oldest monarchy and an extremely popular royal family. To fully understand the otherwise very modern and democratic Danes’ love for their royal family, one needs to look at our national identity. Denmark is a small country with a population of merely 5.6 million people, and many Danes perceive the royal family as moral protectors and representatives of our nation and way of life.